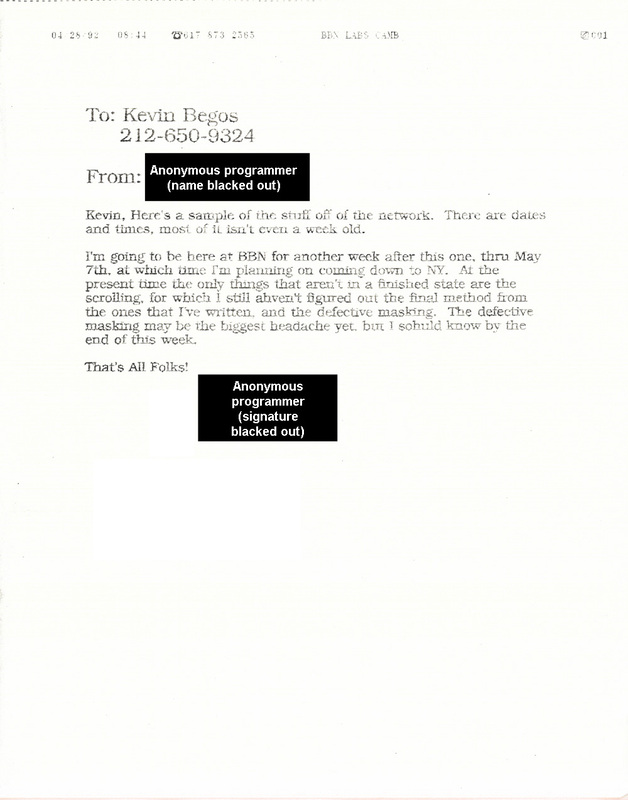 Kevin, Here’s a sample of the stuff off of the network. There are dates and times,	most of it isn’t even a week old. I’m going to be here at BBN for another week after this one, thru May 7th, at which time I’m planning on coming down to NY. At the present time the only things that aren’t in a finished state are the scrolling, for which still ahven’t [sic] figured out the final method from the ones that I’ve written, and the defective masking. The defective masking may be the biggest headache yet, but I sohuld [sic]know by the end of this week.